The modern gym bag is like most things in that it has evolved over the years. Today’s gym bags serve a variety of functions and are suitable for a wide range of activities, from hiking to travel to camping to, yes, carrying workout clothes. 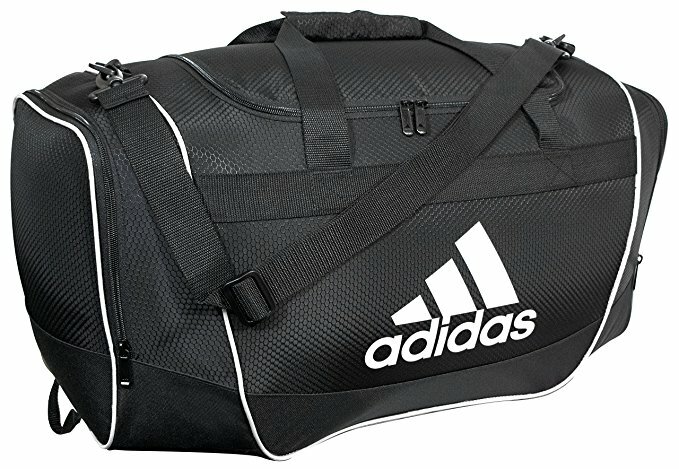 In this article, we’ll look at the best gym bags for men, including our top pick – the Adidas Defender II Duffel Bag . We’ll also look at some gym bag buying tips and the differences between gym bags and other types of bags. Gym bag? duffel bag? backpack? what’s the difference? Several things go into the making of a quality gym bag – from the material used to make it to the “extras” that come with it. That’s a good thing, for sure, but it can make choosing the bag that’s right for you a bit complex. Size is perhaps the most important factor to consider when buying a gym bag. Choosing the right size means knowing what items you plan to carry in your bag – gym shoes, workout clothes, shower items, water bottle, essential workout gear, etc. Also, your gym bag should be the right size so that you can store it easily – whether that’s in a gym locker or another storage unit. The type of gym bag you choose should fit your type of exercise, whether it’s swimming, running, weightlifting, or other activities. If swimming or other water sports are your thing, you’ll probably want a bag that has a waterproof lining. You still may want a water-resistant lining if you sweat a lot and will transport wet workout clothes back home from the gym. If moisture isn’t a concern, then you won’t have to worry so much about the lining. Many gym bags come with compartments that serve a variety of purposes, including shoe compartments that come in handy. The nice thing about compartments is that you can keep your workout gear and other items neatly organized; no one enjoys the frustration of digging through their bag to find something when getting ready to work out. Shoes can get dirty, even during indoor exercise, so it only makes sense to keep them separate from other clothing. “Gym bag” is a catch-all phrase that may refer to a variety of things – a true gym bag, a duffel bag, even a tote – but there are differences between each type, which we’ll discuss at greater length a little later, and which one you choose depends on how you plan to use the bag. Many bags are ideal for travel (including as a carry-on), for a weekend getaway, for hiking, and more. Just know that most traditional gym bags have multiple pockets, including mesh pockets in which to store wet items. Polyester is one of the most common materials used to make gym bags. Heavy-duty polyester is durable and easy to clean, while it’s also water-resistant, which is important if you’re transporting wet gym clothes or your bathing suit. A drawback of polyester is that it doesn’t breathe well, which makes it prone to bacteria and mold if you don’t clean it often. One of nylon’s biggest advantages is that it’s lightweight, and it’s typically less expensive than other materials. It’s also not as durable and can stain easily. There’s a lot to love about leather: it has a luxurious look and feel, it’s durable, and it holds its shape very well. 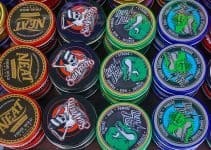 But you’ll also pay more for leather, it can stain easily, and it’s prone to holding in odors. Many gym and duffel bags come with leather handles and trim. Canvas has many advantages, not the least of which is that it’s lightweight (and inexpensive). In most cases, it’s machine-washable. That’s ideal for when the bag starts to smell from sweaty gym clothes and shoes. One of canvas’s cons is that it doesn’t deal with moisture very well, however. It can have odor problems from holding your wet clothes and takes a while to dry after washing. Also known as synthetic leather, vinyl is also inexpensive and resists stains fairly well, especially when compared to natural leather. One of vinyl’s big drawbacks is that it scratches fairly easy and can look beat-up faster than bags made from other materials. Lugging around a heavy gym bag – or any bag, for that matter – gets old after a while. That’s especially true if its handles or shoulder straps are uncomfortable. Don’t compromise on comfort. Next, here’s a look at our choices for the best gym bags. The typical gym bag can take a lot of abuse, most of it unintentional. You toss it in the trunk or back seat of your car, you shove it into your locker at the gym, or you slide it into a corner at home. That’s why you need a bag that can withstand the rigors of everyday use. The Adidas Defender II is just such a bag. Made from durable 100% polyester, the Defender II stands up to wear and tear while also serving as an ideal way to transport your clothes to the gym and back. It also comes in three sizes – small, medium, and large – so you can choose the one that best fits your needs. We like the construction of the Defender II; it has dual top handles and an adjustable shoulder strap with ample padding. It comes with two exterior pockets and one interior pocket and has a spacious interior compartment that can hold a large number of items – from your swimsuit and towel to a water bottle and shower items. Even the smaller-sized bag has enough room to hold several items. Like many of the bags on our list, the Adidas Defender II is good for a variety of uses, whether it’s camping or for outdoor sports and other activities in the great outdoors. Finally, the Defender II comes with a lifetime warranty. 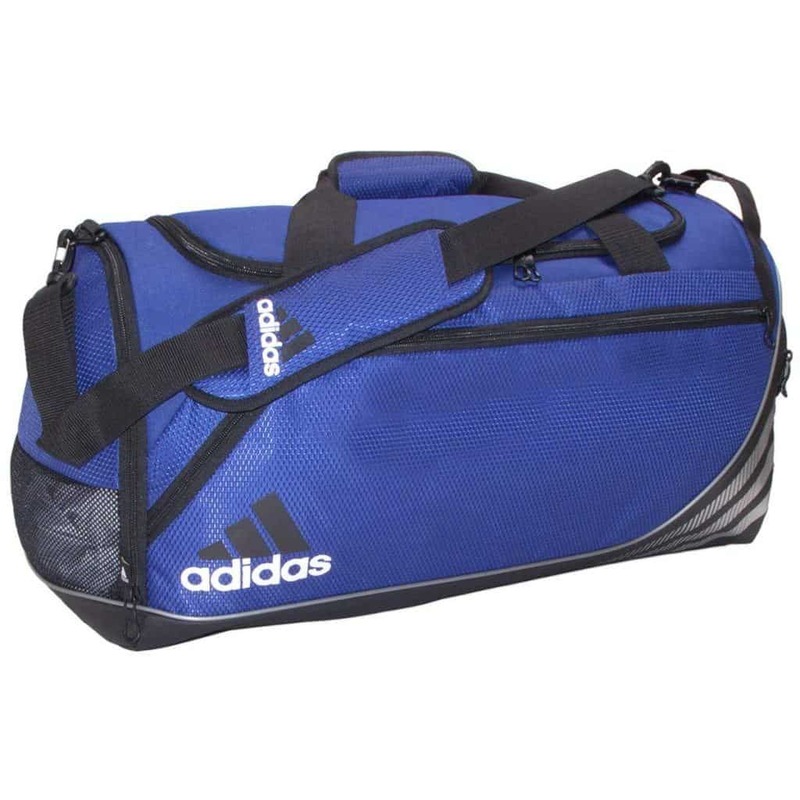 The Adidas Defender II is a quality gym/duffel bag for a variety of reasons, including its durability. 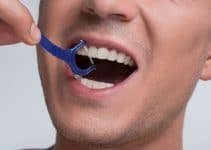 It’s also versatile and good for a variety of uses, and you can choose from three sizes. What’s not to like about the MarsBro Water Resistant Sports Gym Travel Bag? It’s roomy, just as its name suggests, it has a waterproof lining, and there’s also a built-in compartment to store your shoes. The MarsBro gym travel bag has plenty of room with dimensions of 19.7” x 9.8” x 9.3”. Its main compartment provides plenty of space for clothes, towel, shoes, other gym accessories, and even an iPad. The exterior of the bag consists of 100% anti-tearing polyester. It includes a zipped pocket for small accessories, such as your keys and cell phone. The bag’s inner lining is a water-resistant artificial PVC coating. It’s ideal for making sure that your clothes and devices don’t get wet. There’s an internal security pocket that’s perfect for storing valuables, while an additional side pocket is big enough to hold your shampoo, soap, body wash, water bottle, etc. The shoe compartment includes a zippered pocket and exterior zippers with air holes, providing a space to keep your workout shoes (or office shoes while you’re working out) separate from your other gear. The well-cushioned shoulder strap is comfortable, while the bag also includes dual handles for easy transport. Another plus is the bag’s fluorescent zippers, which add to its attractive overall design. Another reason we included this bag on our list is that it’s versatile. It’s ideal for the gym and playing sports but also great for weekends, travel, as a carry-on – even for camping and hiking. Many gym and duffel bags handle a variety of needs, but few do it better than MarsBros’ Sports Gym Travel Weekender Duffel Bag. It’s roomy, water-resistant, comfortable to carry, and durable. There are many ways to describe the MIER Gym Duffel Bag, but any description should mention the bag’s versatility. It is, after all, a bag that’s great for the gym but also for travel (it fits nicely into the overhead compartment of airplanes) and even as a bag you bring to and from the office. It comes with a shoe compartment that’s the perfect size for keeping your shoes separate from everything else in your bag. That said, it’s worthy of mention when discussing the best gym bag with a shoe compartment. It has one main compartment that comes with a two-way zipper. There’s also an inner small zipper pocket. It comes with a padded bottom that helps keep the bag in a good shape while protecting its contents. There’s also a separate Dopp kit, in which you can store toiletry items. The MIER Gym Duffel Bag consists of sturdy nylon fabric and has box-stitching reinforcement on all of its stress points. It’s comfortable to carry, thanks to an adjustable padded shoulder strap and dual handles. The MIER Gym Duffel bag has the kind of room you need to hold a multitude of things, including your shower and other toiletry items. It’s also comfortable to carry and made to last. Carhartt’s reputation focuses on its rugged, durable, and dependable products. It’s no surprise that its Legacy Gear Bag is built to withstand a lot of wear and tear. However, it’s also a versatile gear bag that’s great for the gym and many other activities. The Carhartt bag consists of durable polyester and has an abrasion-resistant base that holds up to abuse. Meanwhile, a Rain Defender Durable Water Repellant applied to the exterior keeps your contents dry in every type of weather. You’ll like the spacious main compartment that has more than enough room for your gear. The 30-inch version of the bag comes with an additional compartment that allows you to store separate items, while an additional zippered pocket is ideal for storing smaller items. Triple-needle stitched seams also contribute to the bag’s overall durability. Also, maximum carrying comfort comes from a padded – and removable – shoulder strap and from the bag’s side haul handles. As you’d expect from a company like Carhartt – which has a long list of workwear that’s built to stand up to the toughest, most physical jobs – the bag’s multiple uses include carrying tools and other work equipment and even your work boots. We think it’s the best gym bag for work, especially if your work entails getting your hands dirty. This bag lives up the Carhartt name in every way. It’s durable and rugged but also versatile enough for use as a gym bag or a work bag. You’ll love its dependability, no matter how you use it. 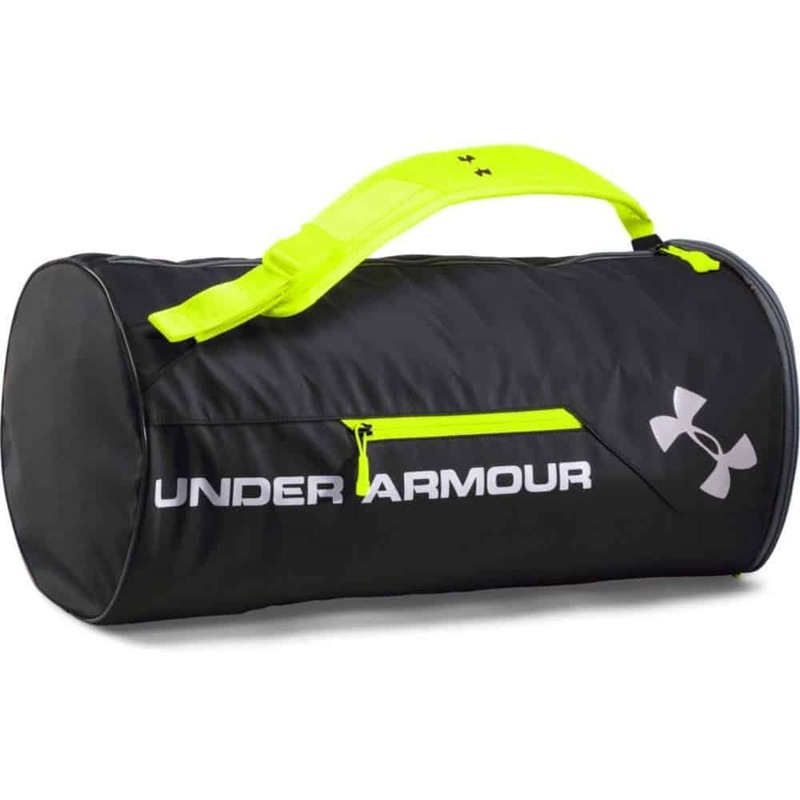 Under Armour is a big name and a big player in the world of workout gear, so it’s no surprise that they offer a duffel bag that’s excellent for use in the gym. Their Isolate Duffel Bag is unisex, comfortable to carry, and features a compartment that’s large enough to carry many items. One of the more important features of the Under Armour Isolate is its UA Storm technology that enables it to repel water without giving up breathability. That makes it ideal for people everywhere – especially people who reside in wet climates, where rain is frequent. People who live in those areas need bags that can stand up to the weather conditions. There are plenty of other reasons to like the Isolate Duffel Bag, however, including an adjustable, padded shoulder strap that provides maximum comfort. The strap includes a buckle that helps you release it quickly and easily. The main compartment is large enough to carry all of your gym items and more and has a zippered closure, while the exterior has a zippered pocket that’s excellent for carrying smaller items. There’s also a large, gusseted pocket that’s perfect for shoes or clothing. Like many gym bags, the Unisex Isolate consists of polyester, and it has an abrasion-resistant coating. The Under Armour Isolate bag has a lot going for it, including that it’s water-resistant. It’s also durable and holds up well to everyday wear and tear. You work hard for your money, and any time you get a bigger bang for your buck is a plus. Everest’s Luggage Sporty Gear Bag is excellent in that sense: you get a lot of gym bag for a reasonable price, but it’s also excellent for many other reasons. The folks at Everest must be doing something right with this bag, given the large number of reviews (and high ratings). As mentioned, it’s a bigger bag with plenty of room to store all of your gym equipment and more. Its dimensions are 25” x 12” x 12”, and it has dual-zippered side compartments with mesh pockets. It also has a zippered clamshell opening. The Sporty Gear Bag’s polyester exterior is durable and stain- and scratch-resistant – as well as mildew-resistant – and will retain its original look for a long time. The interior also consists of polyester. Meanwhile, it has an adjustable padded shoulder strap and two exterior handles that make it easy to carry. It also comes in a variety of color options that enable you to match your taste, as well as your team (or school’s) colors, if you so desire, and it’s suitable for men and women. 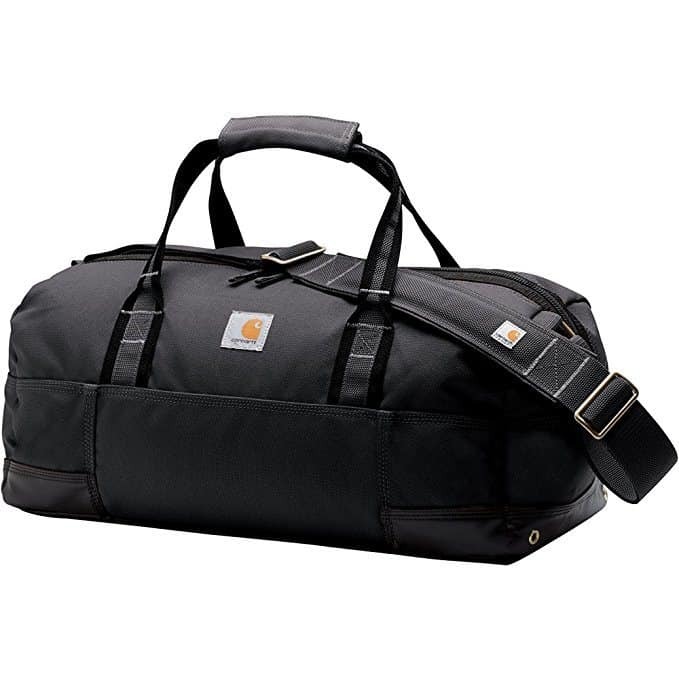 The Everest Sporty Gym Bag is big enough to carry whatever you need for a trip to the gym or for other activities. It also comes at a nice price. The simple things in life are sometimes the best things. Eshow’s Canvas Duffel Bag has a simple design but one that serves a variety of functions – including as an excellent gym bag. Made from canvas, the Eshow bag is rugged enough for all kinds of outdoor use, such as camping, and it’s large enough to carry everything from your gym clothes to a change of outfits – even your laptop or iPad. As mentioned, it’s a versatile bag. After all, you can use it as a backpack, shoulder bag, a handbag, and even as a cross-body bag. Its adjustable shoulder strap is padded for comfort and removable, while you can hide the back strap if you so desire. It’s also easy to carry, which makes it great for camping and a multitude of outdoor activities. The Eshow duffel bag includes one exterior pocket with a zipper, while the interior has a zippered pocket that’s ideal for storing small accessories. The bag also includes adjustable straps on both sides that you can use to fasten your tennis racket, camera tripod, and more. Eshow’s Canvas Duffel is another versatile bag that’s ideal for the gym and many other uses, including outdoor activities, such as camping. It’s also durable and has plenty of room to store many items. Not everyone needs a gym bag that can carry everything from their gym clothes to their kitchen sink. OK, so maybe not a kitchen sink, but you get the picture. It’s not that there’s anything wrong with those bags, and we love versatility, but there’s also nothing wrong with a smaller gym bag in which you can tote only the items you need for your workout. The Adidas Diablo is just such a bag. The Diablo has a 100% polyester exterior made to last a long time, as well as an adjustable shoulder strap for comfortable, easy transport. It also has an additional strap that enables you to wear it backpack-style. The main compartment of the Adidas Diablo is ventilated to keep it fresh, even when it’s filled with sweaty workout clothes. It doesn’t have interior pockets, but that’s understandable for a smaller bag in which every inch of space counts. The Adidas Diablo is a bag you should consider if you only plan to use it for the gym – although you can use it in other ways, too. You can carry it in a variety of ways, and it has enough room to carry what you need for a workout. It’s the best small gym bag available. The Runetz Sport Shoulder Bag has something of everything – at least everything that you’d expect in a quality gym bag. 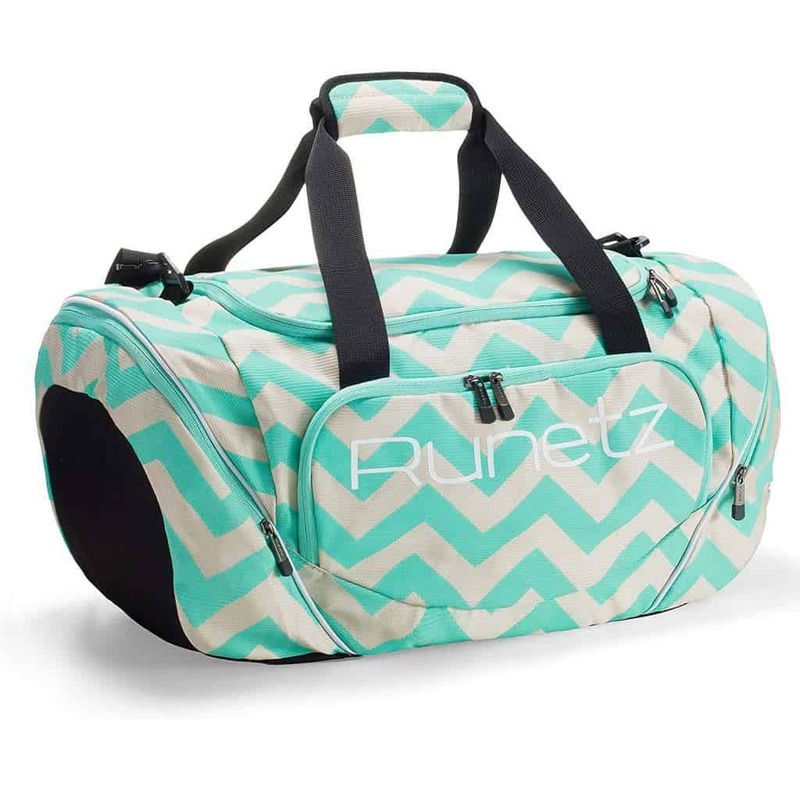 For one, the Runetz bag is roomy enough to store all of your workout essentials. For another, it has multiple zippered pockets that make it easy to organize your items, including a pocket big enough for your shoes and a towel. The pocket is ventilated, so you can store wet items in it (and your shoes) that can cause unwanted odor. Heavy-duty polyester construction helps this bag stand strong against normal wear and tear while helping you to get a lot of use out of your investment. You’ll also appreciate this bag’s adjustable, detachable shoulder strap that helps make it comfortable to carry, and its dual handles make for easy carrying. What else? 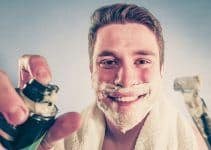 Well, it’s good for many other uses, as well, including outdoor adventures, such as camping and hiking, as a travel carry-on, and more. It also comes in a variety of styles and colors to help make it a stylish gym bag for men. Runex’s Sport Shoulder Bag is ideal for the gym and many other uses. It’s roomy enough to carry everything you need and its ventilated pocket is a great feature. Backpacks may also serve as gym bags, and many men prefer them over traditional designs. If you’re one of those men, you’ll want to check out Pacsafe’s Metrosafe backpack, which has the added benefit of being theft-proof. Indeed, Pacsafe’s LS series of bags come with a variety of anti-theft technologies that help give you the peace of mind that comes from knowing a thief would have to work pretty damn hard to steal from your backpack. A flexible, stainless steel wire mesh built into the bag’s fabric prevents would-be thieves from slashing your bag, while a security clip prevents pickpockets from getting into your bag. Meanwhile, a pocket meant for holding ID and credit cards in the main compartment includes safe-blocking material that protects you from hacker scanning. All that said, the Pacsafe LS350 is also a versatile bag that’s great for storing gym items, but it’s also for travel, classes, etc. The main compartment has enough room to hold a MacBook or another device, and the zipper system is – no surprise – designed to ward off pickpockets. The bag comes in three color options (black, tan, and Merlot) and is comfortable to carry, even when loaded with heavier items. The Pacsafe Metrosafe backpack is ideal for gym use, as well as an impenetrable force against thievery. It comfortably stores all the items you need for a workout or most other uses you may choose. 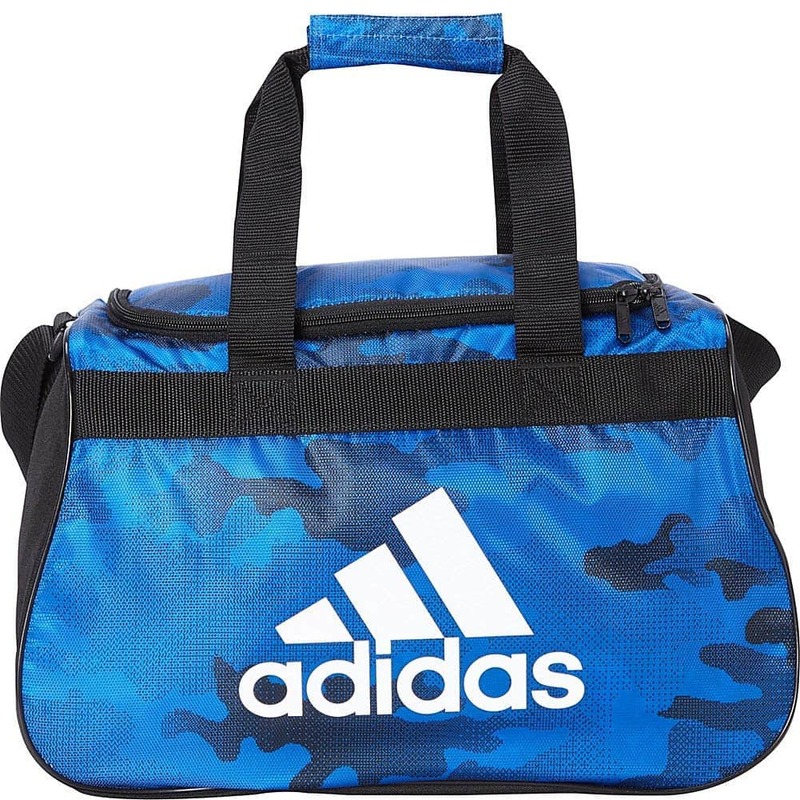 Adidas earns a third entry on our list with its Team Speed bag, a compact-yet-spacious bag that has a variety of excellent features. The medium-sized version of the Team Speed duffel features a roomy interior compartment that includes a zippered pocket that’s meant to store valuables, such as your wallet and cell phone. There’s also a ventilated compartment – which features FreshPak technology – in which you can store your gym shoes, sweaty workout clothes, and other potentially odorous items. But there’s even more storage: a zippered pocket on one end of the bag and a front pocket that includes a key fob to create even more storage space. Another thing we like about this bag is its water-resistant bottom that keeps your clothes and other items dry, as well as a removable, padded shoulder strap that provides carrying comfort. It also comes with dual handles and an additional side handle that allows for easy storage in a locker, as well as easy access to your bag if you’ve stored it in an overhead compartment. The Adidas brand logo is on one side of the bag, while the blank space on the other side makes it easy for team branding, if you so choose. 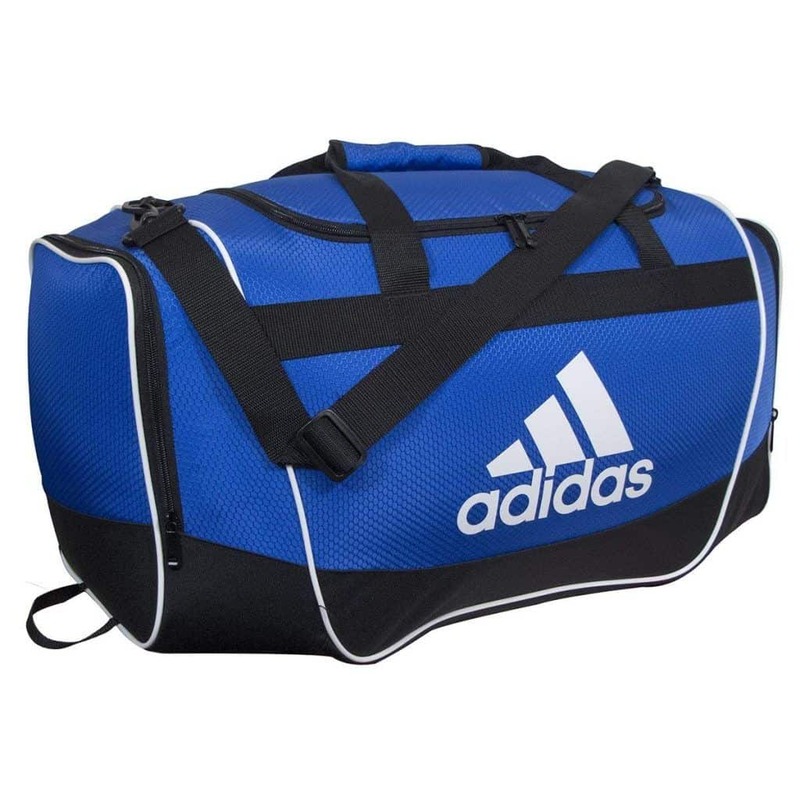 The Team Speed gym bag by Adidas serves a variety of functions and is ideal for individual and team use. It features plenty of storage options, including a ventilated interior compartment, while its waterproof bottom keeps your clothes and valuables dry. We talked earlier about how the term “gym bag” is sometimes used to describe a wide range of items used for the same general purposes. To further confuse the issue, many bags called “duffel” bags are actually gym bags, and vice-versa. There are differences, however, and here’s a look at some of the most common types bags. 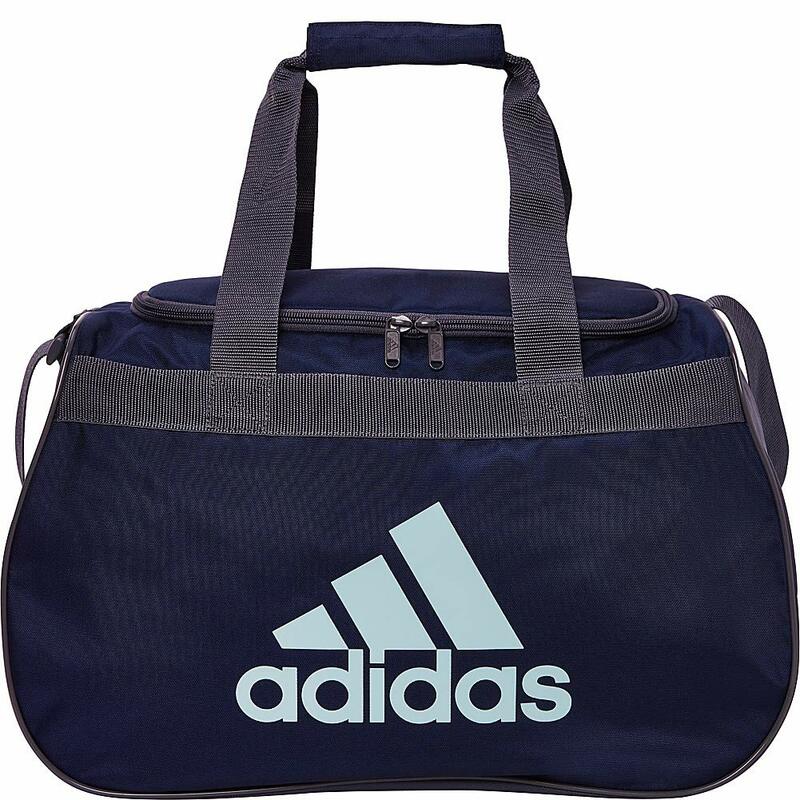 The traditional gym bag, or at least what qualifies as “traditional” today, has a few common characteristics: multiple pockets, shorter handles, and shoulder straps so that you can carry your bag hands-free, while many come with individual compartments in which you can carry your shoes, store wet items, and even safely store electronic devices, such as your phone. They come in a variety of sizes and colors. Most gym bags are versatile enough for use as a vacation bag or as a carry-on for air travel. Like gym bags, duffel bags are versatile – and some would say more versatile. They provide plenty of room to store your clothing and other items, are excellent for travel, and come in a variety of materials. Some of the common characteristics of a duffel bag are its softer sides that help you to fit it in tight or irregular spaces without too much trouble and their zippers (which replaced the drawstrings of yesteryear). 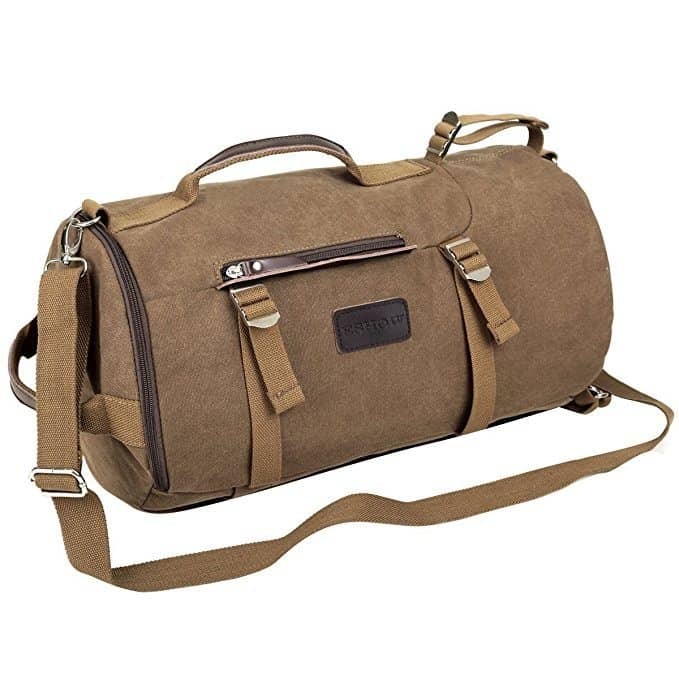 Additionally, many duffel bags have interior and exterior pockets. The original duffel bags had a cylindrical shape (and were made of canvas), but today’s bags have, for the most part, square sides. They also come in a variety of colors and material, including canvas, which is more affordable than many other types of material. Most duffel bags have a firm, scratch-resistant bottom to protect against the stress of travel and other transport. Many also come with wheels – you’ll see them in just about every airport that you can name – which tend to be larger and able to handle heavier loads. Backpacks have been around, in some shape or form, for thousands of years, but the modern backpack dates back only 50 years or so. They’ve become the preferred method of students for transporting books and other school-related items, but they have many uses, not the least of which is that they’re excellent for hiking and camping. Unlike the heavier backpacks of the past, today’s packs usually consist of lightweight materials such as nylon. In fact, comfort is perhaps the most important criteria when choosing a backpack. Backpacks that have well-padded, adjustable shoulder straps are usually the most comfortable. A key factor to consider when it comes to a backpack’s comfort is that it doesn’t produce any additional strain on your back. The back of the bag should follow the natural arch of your spine and back. Today’s backpacks come in a variety of materials, including nylon, canvas, polyester, and leather. Many outdoor backpacks consist of nylon material that’s lightweight and waterproof. Polyester often is used for the construction of children’s backpacks. A tote bag is a larger bag with two handles. Today’s totes come in a wide range of materials, including cloth (which represents their original form). Totes typically don’t include exterior or interior pockets and are meant to carry things while shopping or traveling. Totes are larger than handbags, which are meant to carry personal items used for everyday life. However, some of today’s handbags are as large as tote bags and used to transport items for shopping or traveling. Most men don’t use a handbag but instead use a tote bag when shopping, etc. There’s no need to get too in-depth about suitcases, because, well, have you ever seen someone transporting their gym items in a suitcase? We think not, unless you’re also carrying your personal set of dumbbells and other equipment, but we digress. The suitcase has a history that goes way, way back, but today’s models are much more lightweight and easier to handle than previous forms. The typical suitcase has a flat, rectangular shape with rounded corners that consist of hard metal or plastic to help the case hold a consistent shape or form. Most suitcases have zippers and a hinge opening, so you can uncover the entire area of the bag’s interior. Like most everything else, the modern suitcase is influenced heavily by rapidly-evolving technology. One of the biggest factors we took into consideration when choosing the best men’s gym bags for 2019 was functionality. Some bags have more features than others – including more interior compartments – but the bags we chose had to serve their general purpose without compromising storage room or comfort. We also wanted to provide a range of styles, while versatility was another consideration. Most gym bags can serve a variety of functions, and we think that’s a plus. Finally, we always strive to list products that fit every budget. We’d love to hear your comments and suggestions. What brand of gym bag do you use? Have you tried any of the bags on our list? Let us know in the comments!